It’s enough with the “exploding” thing on Samsung Galaxy Note 7. Now the Korean giant electronic manufacturer is ready to kick the game off. Yes, few days ago, Samsung just released its front-runner flagship of Galaxy lines. It’s Samsung Galaxy S8, ladies and gentleman! As what Samsung did in the previous flagship, Galaxy S8 brings many interesting upgrades from the predecessor. So, how sophisticated this phone really is? Here is the detail. A press event was held in Lincoln Center for the Performing Arts, New York, to unveil the fabulous Samsung Galaxy S8. Not only one, but Samsung introduced 2 variants of S8 at that event; Samsung Galaxy S8 and Samsung Galaxy S8 Plus. Overall, both devices have relatively similar specifications, only the dimension that makes the difference. Galaxy S8 comes in 5.7-inch display, while its brother, the Galaxy S8 Plus, comes in bigger screen which is 6.2 inches. All of them have what it’s called “infinity display”, or edge-to-edge curved display, which is the boldest feature of this phone. Infinity display really brings the new S8 device into the next level. We know that Samsung has introduced curved display ever since the Galaxy S6 Edge. But what we see in the S8 is really something different. Samsung claims that S8 is the first gadget with infinity display technology ever. We can see that from both left and right edges of the phone, which are curved to create seamless impression. Besides giving an elegant look, this seamless design also gives you wider screen perspective of course. Another thing that makes the display more stunning is the technology in it. What else if it’s not about the Super AMOLED display with 2960 x 1440 screen resolution and 570 ppi of pixel-density. Having 18.5:9 aspect ratio, this screen is super massive! Further, Samsung seems to get more serious by putting HDR technology on the screen, enabling you to get bright and vivid mobile video experience. There is no more physical button on the front. As a replacement, you can find pressure-sensitive button right on the bottom of the screen. iPhone vibes, huh? Overall, the design looks gorgeous and elegant. The edge-to-edge concept is perfectly blended with the 148.9 x 68.1 x 8 mm of body dimension and 155 grams of weight. Looking at the front side, it will be so much pleasing with classy curved-seamless design with a bright screen. It’s so clean with no unnecessary details. No button, no finger print sensor as we found in the previous flagship, Galaxy S7. Let’s give applause to Samsung designer team that makes this design possible. It will be full pages of essays if we talk about the whole specs of Samsung Galaxy S8. As the flagship, surely this device has superior specs than the other members of Samsung Galaxy product lines. Let’s take a look on the processor, which is 64-bit octa core (2.3 GHz Quad+ 1.7 GHz Quad), and 64-bit octa core (2.3 GHz Quad+ 1.9 GHz Quad). This is the most advance processor from Samsung at this time. Plus, it’s also a 10 nanometer-sized processor which is not only faster and efficient, but it also smaller and space-efficient. Talking about storage, you will find 64 GB of internal storage with 4 GB of LPDDR4 RAM. If it’s still not enough, you still can expand it by Micro SD up to 256 GB. Obviously, you will not run out of memory just to store your favorite movies, videos, music, or any other applications. Moreover, this Samsung Galaxy S8 has adopted the newest Android OS from Google too. It has Android 7.0 Nougat running the system to make sure that every performance given to user is at its best. Move to the camera, don’t expect too many upgrades on the Samsung Galaxy S8 camera because what we see here, is relatively the same with the one on Galaxy S7. Just like his older brother, S8 is still adopting 12 MP sensor for the rear camera. What makes it a little bit more interesting is only the addition of “multi-frame image” feature. This is where the camera captures 3 images, and you can decide the best one to keep. Last but not least, an 8 MP-sensor camera is added on the front side to fulfill your selfie needs. It’s been stated on the front that this phone is having a fingerprint scanner that can be used for multiple purposes such as lock and unlock the phone. Besides, locking and unlocking the phone will be more interesting with the presence of Irish scanner and facial recognition. All these features combined are really effective to secure your phone from unnecessary user. Besides, in this edition of Galaxy smartphone, the Korean Techno Mogul also introduced a new interesting feature called Bixby. Bixby comes as an answer to Google’s Google Assistance, Apple’s Siri, and Amazon’s Alexa. It’s a virtual assistant developed by Samsung and Galaxy S8 is her first debut. She can make a visual search by taking advantage on her camera integration. She can identify landmark and search visual images to offer use the best suggestion based on the recorded data. This is an interesting concept actually, but sadly many people find that Bixby doesn’t work as good as other virtual assistant. Well, it can be tolerated since this is her first debut, so we expect any updates in here, Samsung. In the connectivity sector, there is WLAN a/b/g/n/ac for fast internet access. Moreover, you can also find MU-MIMO and ANT+ as an alternative network. Then, for file sharing, Bluetooth 5.0 is more than capable to offer you fast-file sharing process with the speed up to 2 Mbps (Find out what you can get from Bluetooth 5 in here.). And there is NFC too, which is supposedly could be used for electronic payment, GPS system for tracking and mapping, and IP68 certificate, which indicates that this phone is water and dust resistance. Lastly, it’s about the battery and power consumption. For so many people, battery and power consumption matters a lot because it’s related to the productivity. To serve these needs, Samsung has brought 3000 mAh battery capacity to Samsung Galaxy S8. It’s such a small capacity compared to the other competes, even to the ones that come from the lower level. However, Samsung claims that the battery capacity should not be something to worry about. The processor is energy-saving, it has 21% better GPU management. Plus, it offers 10% power more to the CPU. Further, please be noted that this battery comes more advances with wireless charging system. Specifically, it is full suite wireless charging. With this full suite concept, you can charge your Galaxy S8 phone in whenever place you find wireless charging point. It is so flexible and efficient as well. Even though Samsung hasn’t confirmed how long does it take to charge the handset to be fully charged, but from the availability of fast charging features, we can estimate that the charging process can be finished in 15 minutes. Read about how wireless charging works in this page. Finally, we come to the end part of this article. Bue, before talking further about price and release date, here we enclose several videos about Samsung Galaxy S8. From these videos, you can check how amazing this phone is so you can decide whether or not it’s worth owning. So, here is is. There’s still no official information about pricing, but Samsung already open pre-order in several countries around the globe. In the US for example, this handset will be available on April 21st. 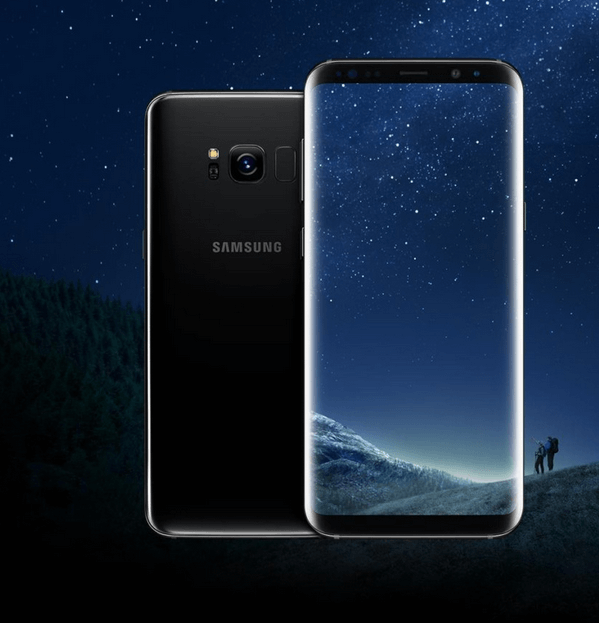 While in the UK, and hopefully to the rest of the world too, Samsung Galaxy S8 will be available on April 28th (see here) with price estimation around 689 Pounds. That’s the worth price for such a nice handset with a bunch of features. So, if you think that this Galaxy S8 is just right for you, just be ready and grab it home!